Located along the most beautiful section of Tuxedo, perfect setting, 150 of frontage and elevated building site gives it the feel of a much larger property. 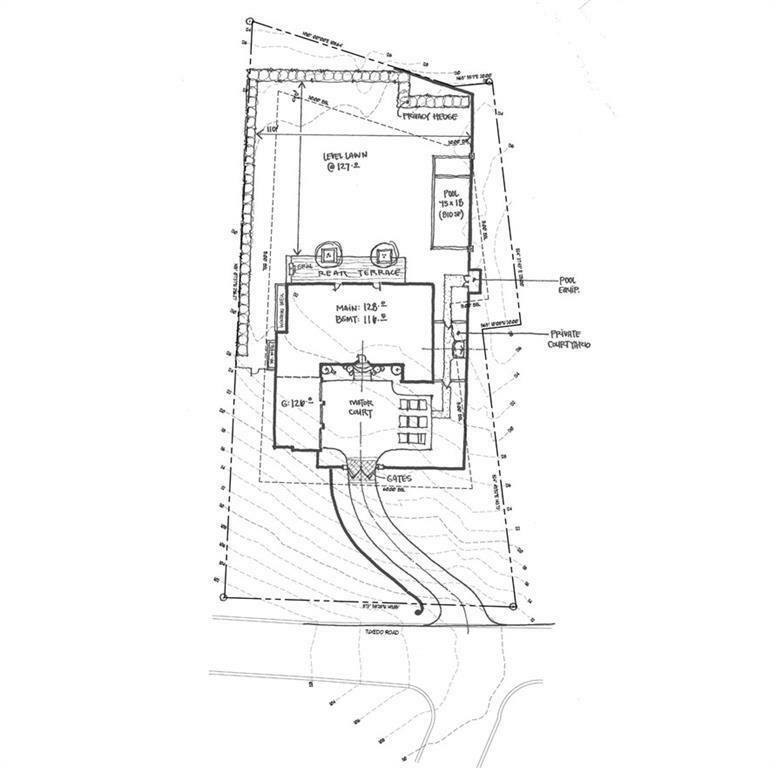 The conceptual footprint represents a home with approximately 7500 sf and 3 to 6 garages. Privacy on all 4 sides.The backyard is simply amazing and level with the main floor! 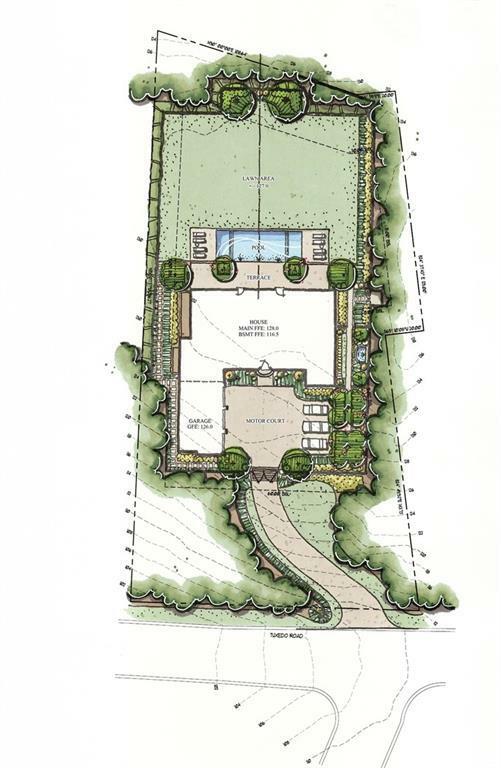 Perfect symmetry & nearly 10,000 square feet of completely level and private lawn 1/3 the size of a football field! 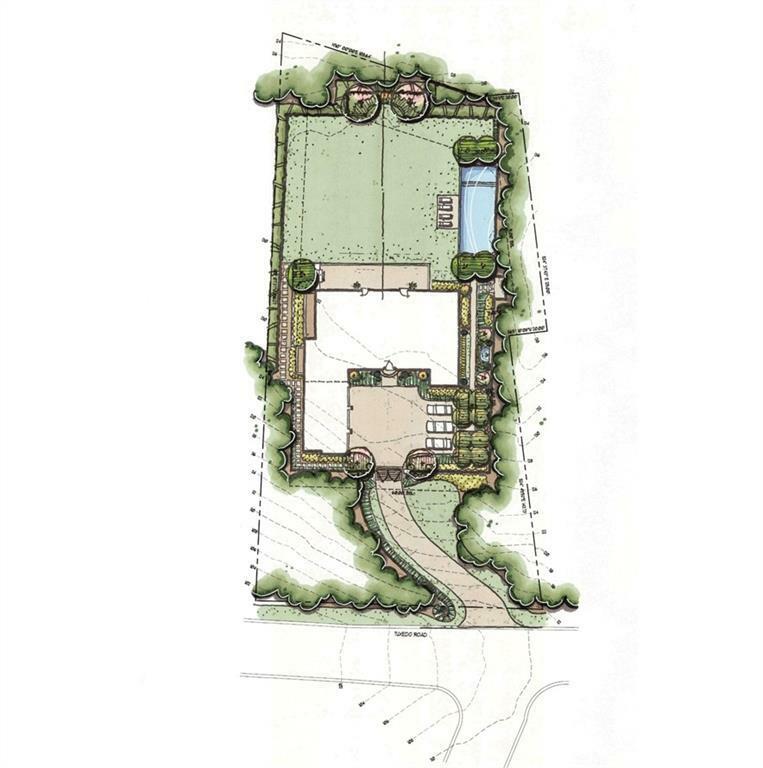 Although the existing home is charming, this property represents one of the best building opportunities in Tuxedo Park. 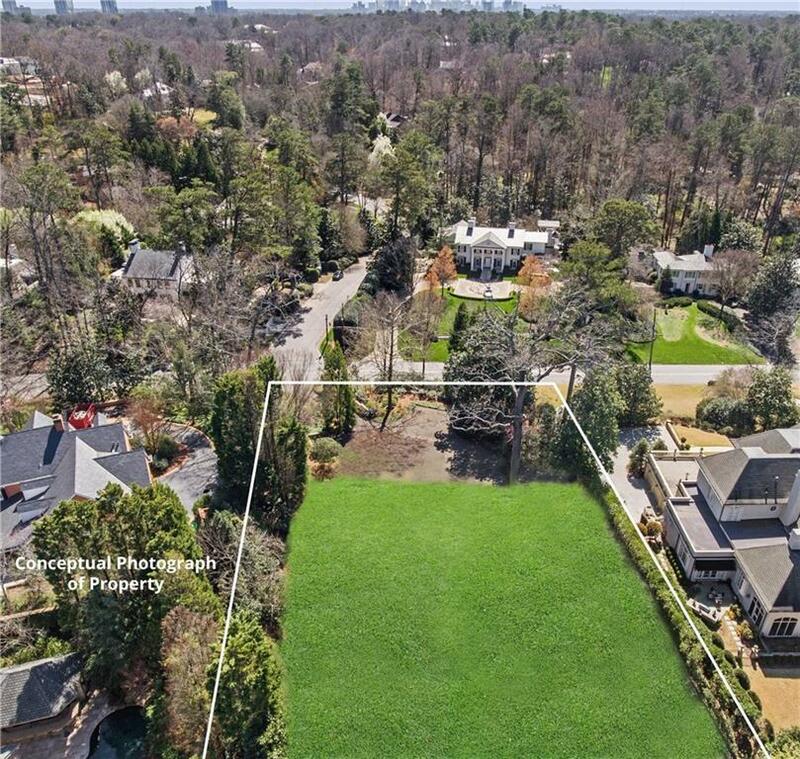 Listing provided courtesy of Hirsh Real Estate Buckhead.Com.